Whatever your situation it is important that you don't panic and to do something about it today. 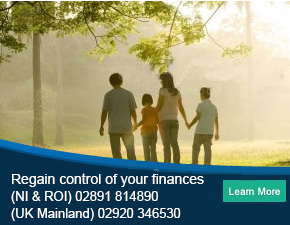 We are available on (NI & ROI) 02891 814890 (UK Mainland) 02920 346530 to offer you personal debt advice or you can enquire online. Yes. Our advice is free of charge. However if you are happy to instruct us to act on your behalf then we do charge fees. You can view our fees online or you can call (NI & ROI) 02891 814890 (UK Mainland) 02920 346530 for further details. We understand the pressure that you are under. Once you instruct us to act on your behalf we will contact your creditors and ask them to send all correspondence to us. If they do continue to call, don't ignore it. Answer the phone and tell them that PJG Recovery are acting on your behalf and to call (NI & ROI) 02891 814890 (UK Mainland) 02920 346530. We will try and take away as much pressure as possible and get you back on track.